Knowledge Quest is read by school librarians in elementary and secondary schools. These professionals are responsible for the selection, acquisition, cataloging, maintenance, and circulation of books, periodicals, audiovisual materials and computer software and accompanying hardware. The readers of Knowledge Quest also provide reference service, reading guidance, instruction in information retrieval skills, and access to the Internet and other electronic resources. They collaboratively plan instructional units with teachers in elementary and secondary public and nonpublic schools. 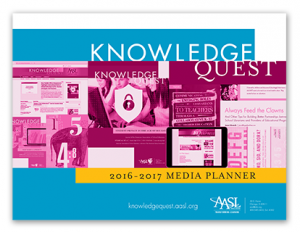 Most readers of Knowledge Quest are members of the American Association of School Librarians (AASL), a division of the American Library Association (ALA). 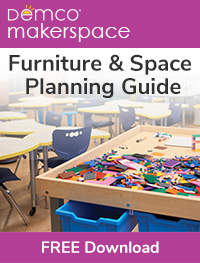 Published five times a year by the American Association of School Librarians (AASL), a division of the American Library Association (ALA), Knowledge Quest is devoted to offering substantive information to assist building-level school librarians, supervisors, library educators, and other decision makers concerned with the development of school library programs and services. Articles address the integration of theory and practice in school librarianship and new developments in education, learning theory, and relevant disciplines. 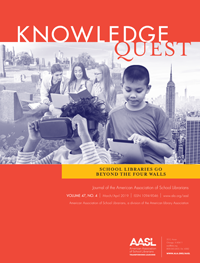 Knowledge Quest is available to AASL members and subscribers online through AASL eCOLLAB. 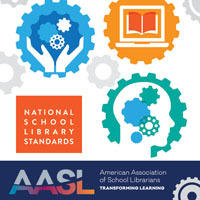 For more information about the American Association of School Librarians, visit our home page at www.aasl.org.